.R. Energy, the company owning the land under the second oil shale quarry of North Kivioli which the government wishes to expropriate in the interests of Kivioli Keemiatoostus, wants to be paid five million euros for the land, informed LETA/BNS. "Where at present the government is planning to spend one million euros of taxpayer money for the questionable expropriation of the land, the extracting company could get the land for less than five million euros without burdening courts and institutions of the state and infringing on the rights of owners. It would be fair if the party paying for the land was the company that will start earning profit from mining, not the taxpayer," N.R. Energy board member Ahto Tisler told. Tisler said N.R. Energy has placed the properties as collateral for a bank loan that it has taken for investing in remote heating networks across Estonia. "On the aforementioned piece of land a mortgage of 6.8 million euros has bee established in favor of the bank, under which our liability to the bank including the amount drawn, interest, and the charge for early termination of the agreement amounts to 4,933,509 euros," he said. "In an unequal situation where the Estonian state has begun to intensely give preference to the business interests of Kivioli Keemiatoostus at our expense, we have to go against the Estonian state, and a standoff like this will clearly happen on an unequal footing. Thus we would prefer to find a different solution. One possibility to solve the situation would be by compensating N.R. Energy for the outstanding debt, considering that in a stalemate it is not possible for N.R. Energy to gain financial benefit from its long-term investments. Thus far, however, the Alexela group company Kivioli Keemiatoostus has not displayed the slightest wish to solve the issue by negotiations, as it is cheaper for them to get the properties for taxpayer money," the board member of N.R. Energy said. According to Tisler, no damage can be incurred by Kivioli Keemiatoostus if it fails to obtain the land for the extraction of oil shale. "Kivioli Keemiatoostus received the oil shale extracting permit in January 2011 knowing that it cannot mine on land belonging to third persons. It needs to be noted here that at the time when the extracting permit was issued to Kivioli Keemiatoostuse OU, the Earth's Crust Act enabled to issue an extraction permit also for land not belonging to the applicant. That was how they applied for the permit, and consequently that was the possibility they reckoned with. Thus no damage can be incurred by Kivioli Keemiatoostus. We would like to emphasize once again that Kivioli Keemiatoostus itself has never approached N.R. Energy for the acquisition of the land," Tisler added. The Estonian government last Thursday decided not to discuss the allocation of one million euros for the expropriation of land under the second North Kivioli quarry in the interests of Kivioli Keemiatoostus. Minister of Finance Toomas Toniste made a proposal to the government to allocate 940,000 euros from the reserve of the Government of the Republic to the Ministry of Economic Affairs and Communications and 60,000 euros to the Ministry of the Environment for covering the expenses that are to emerge from the acquisition of properties and usufructs located on the territory of the extracting permit area of the second oil shale quarry of North Kivioli in the rural municipality of Luganuse in East-Viru County. The matter is expected to be discussed by the government again on Thursday, Jan. 10. Kivioli Keemiatoostus, a subsidiary of Alexela Group, which is owned by Heiti and Marti Haal, on Nov. 11, 2009 submitted an application for the expropriation of the usufructs established on the properties. In 2017, active measured resources totaled 13.8 mln tons in the second quarry of North Kivioli, of which 5.8 mln tons was on the area of the right of use of land. 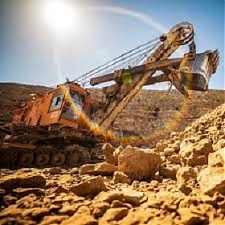 The rest is located on the disputed properties, where the size of the oil shale resources is approximately 8.5 mln tons, of which 8 mln tons can be mined. The state's tax receipts from the mining and processing of it are approximately 55 mln euros. The owner of the land is energy producer N.R. Energy, owned by Nikolai Reisman.